Somali Govt wants drone strikes to be intensified against Al shabaab. Somali Intelligence chief has said that the US drone strikes targeting Al Shabaab in central Somalia will be intensified. General Abdulrahman Turyare was speaking in Dusa Mareb town in central Somalia on Monday ahead of Tuesday’s Somali President Hassan Sheikh Mohamud’s visit in the area. He said the drone strikes have weakened their ability near the capital Mogadishu and the same should be applied in central Somalia where militants are gaining some strength. The US operation in Somalia has targeted and killed senior Al Shabaab figures including leader Ahmed Abdi Godane on September last year and most recently its intelligence chief Yussuf Deq. Alshabab fighters have been withdrawing from a number of areas they have controlled in the southern part of Somalia. 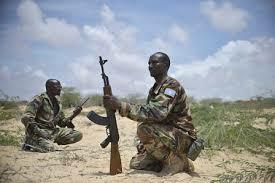 Somali National Army in Bakol region say they have captured new areas from the Al Shabaab militant group. 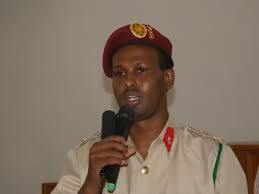 The mayor of Hudur town in Bakol, Ahmed Maalim, has confirmed this to local Somali media. “The security forces were conducting operations in the region for the past few weeks,” he added. Al Shabaab has lost swathes of strategic areas since early last year when operation dubbed India Ocean was jointly launched by AMISOM and the Somali National Army. But despite losing major towns to government troops, Alshabab militants have continued to strike with hit and run operational bomb and gun attacks in Mogadishu and other towns. They carry out attacks across the country like the one on Tuesday that lawmaker Abdullahi Qayad Bare was killed when militants fired on his car near Mogadishu HamarJajab district while on his way to the parliament. Omar Wardere is a Somali researcher, reporter and editor. He is a committee member of National Union of Somali Journalists (NUSOJ) and member of Foreign Correspondents Association of East Africa.